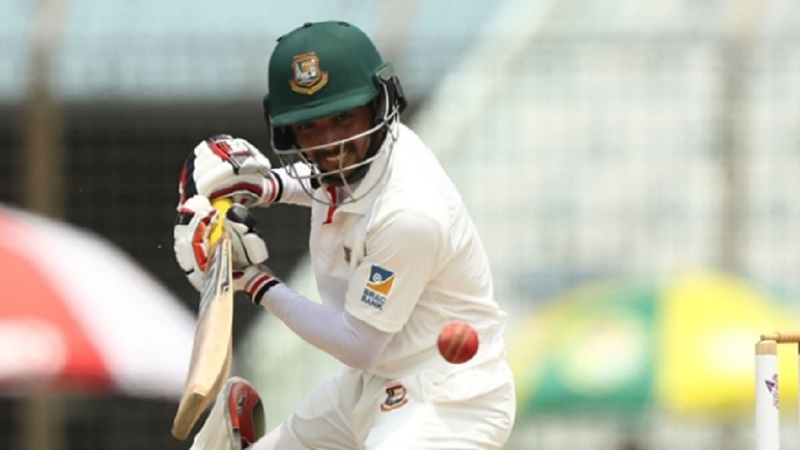 Mominul Haque scored a record-equalling eighth Test century but Bangladesh were rocked by a devastating burst from West Indies pacemen Shannon Gabriel on day one of the opening Test in Chittagong on Thursday. 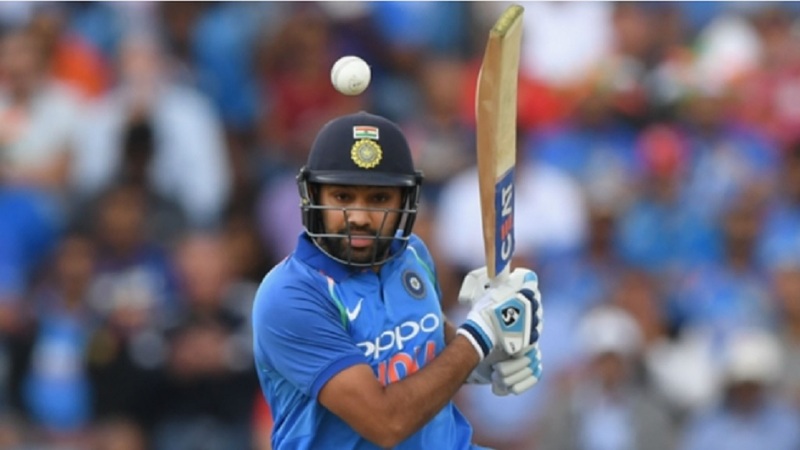 The Tigers were in a strong position on 222-3 after Mominul (120) matched Tamim Iqbal's tally of hundreds in the longest format with his fourth of an outstanding year – a number only Virat Kohli can also boast. Gabriel (4-69) changed the complexion of the game by taking four wickets in 15 balls, his dismissal of Mominul sparking a dramatic collapse on the opening day of the two-match series. Bangladesh lost five wickets for 37 runs before debutant Nayeem Hasan and Taijul Islam took them through to 315-8 at stumps at Zahur Ahmed Chowdhury Stadium. Kemar Roach took 5-8 when Bangladesh were dismissed for their lowest total of 43 in a July series which the Windies won 2-0 and the quick snared Soumya Sarkar caught behind in the first over on Thursday. 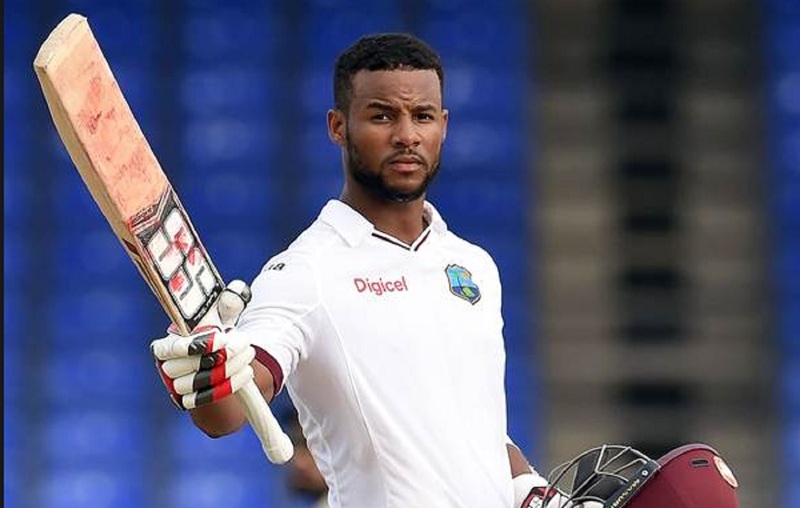 Imrul Kayes was dropped by Roston Chase in the slips after Roach found the edge and the opener had another life when he was caught in the deep but Jomel Warrican overstepped. Mominul struck Chase for three boundaries in an over before reaching his half-century off 69 balls, but Warrican had Kayes (44) caught at short leg just before lunch. Shane Dowrich put Mominul down on 67 and the number three made him pay, reaching three figures by cutting Chase to the boundary after smashing Devendra Bishoo for six over midwicket after the spinner had removed Mohammad Mithun. 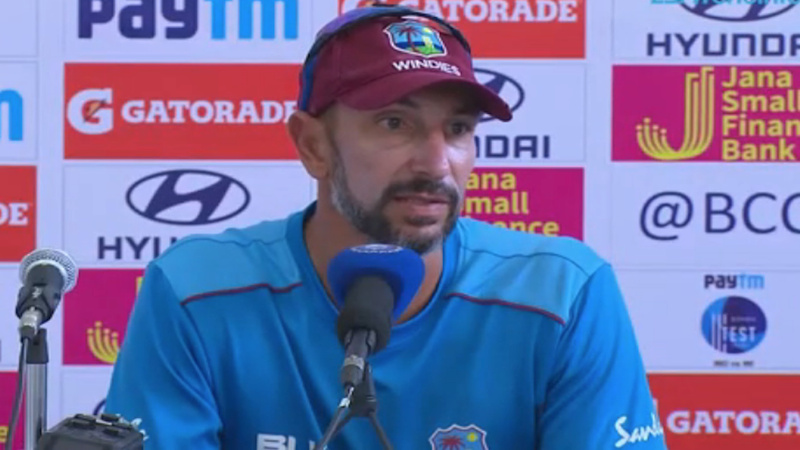 It was an inspired Gabriel who turned the tide for the Windies in the first match with Nic Pothas as interim head coach following Stuart Law's departure, getting the centurion caught behind and Mushfiqur Rahim leg before in the same over. The hostile fast bowler cleaned up Mahmudullah (3) and Shakib Al Hasan (34) in a hostile spell and Bangladesh were 259-8 after Mehidy Hasan was bowled by Warrican, but Nayeem (24 not out) and Taijul (32no) steadied the ship.